The Answer to Your Question: Does Marketing With Pinterest Actually Work? Pinterest should be an integral part of your marketing mix. This constantly growing social network lets you share products and services while driving leads to your website. And the unique features of Pinterest even allow you to show off the personality of your brand by pinning relevant content from other sources. 1. Choose your best products to feature on Pinterest and develop a timeline for when you will feature certain ones. Be selective, don’t pin everything at once. 2. Make it easy for visitors to pin from your website. Add a “Pin It” icon on each product page and a “follow us on Pinterest” link on your home page. 3. Participate in the fun! Don’t just add your own products. It’s important that you also make an effort to re-pin items and ideas that complement the product or service you’re offering. Users will, in turn, re-pin what you post and be drawn to your company. 4. Show your product in use. Create helpful images that feature a step-by-step process to explain what your business offers or to show how a certain product works. Be sure to add text and reference your product or service. 5. Use vertically orientated images. 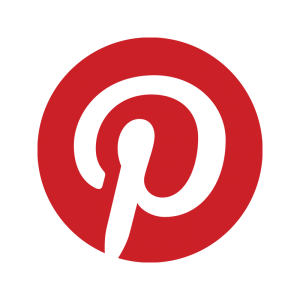 Pins that are longer than they are wide draw attention to your image and fit nicely with Pinterest’s layout. One of the best features of Pinterest is the ability to pin images from anywhere on the web. Part of marketing with Pinterest is learning how to engage with a wider community. You’ll need to post regularly and your posts should be varied. Make an effort to also promote/share things that aren’t your own. 1. Twitter users create a constant stream of content. Follow popular people on Twitter and re-pin their content—just make sure to mention where it came from when you put it up on Pinterest. 2. Facebook is also a quick place for to find new content, but you can’t pin directly from Facebook to Pinterest. Use TinEye or another reverse image search program to find the original images posted on Facebook and re-pin them from their source. 3. Stumbleupon aggregates the web into easily browsable categories. Pick your interests when you sign-up and hit the orange “Stumble” button to find inspiration for your next pins. 4. Paper.li lets you create a personalized daily “newspaper” of all your favorite sites. Each morning you’ll know what’s new on the web is so you can pin relevant content on your Pinterest boards. 5. Of course, Pinterest itself is a great place for content. Follow content that is similar to your business and remember to participate. When you engage, you’ll be seen as more than just a business trying to use Pinterest for marketing and users will be more open to checking out your content. Have fun using these tips and tools to take your Pinterest marketing strategy to the next level!